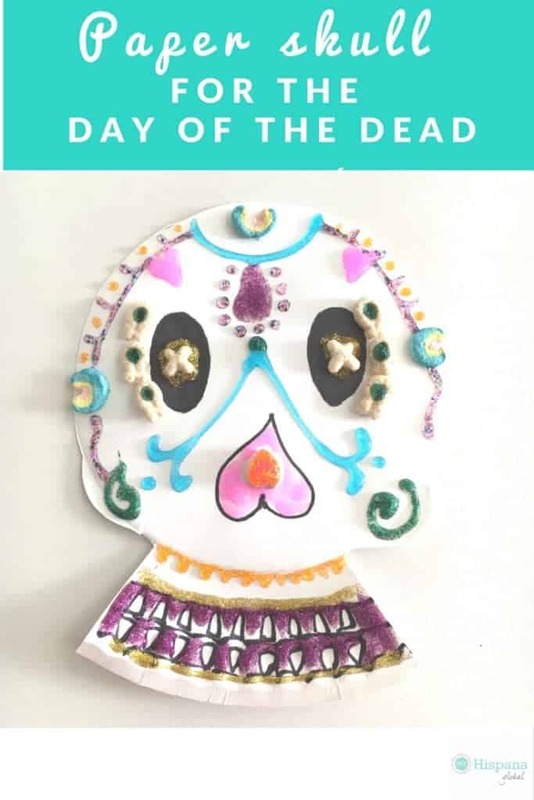 If you are looking for a Day of the Dead craft that you can do with your children, you’ll love this paper plate skull. 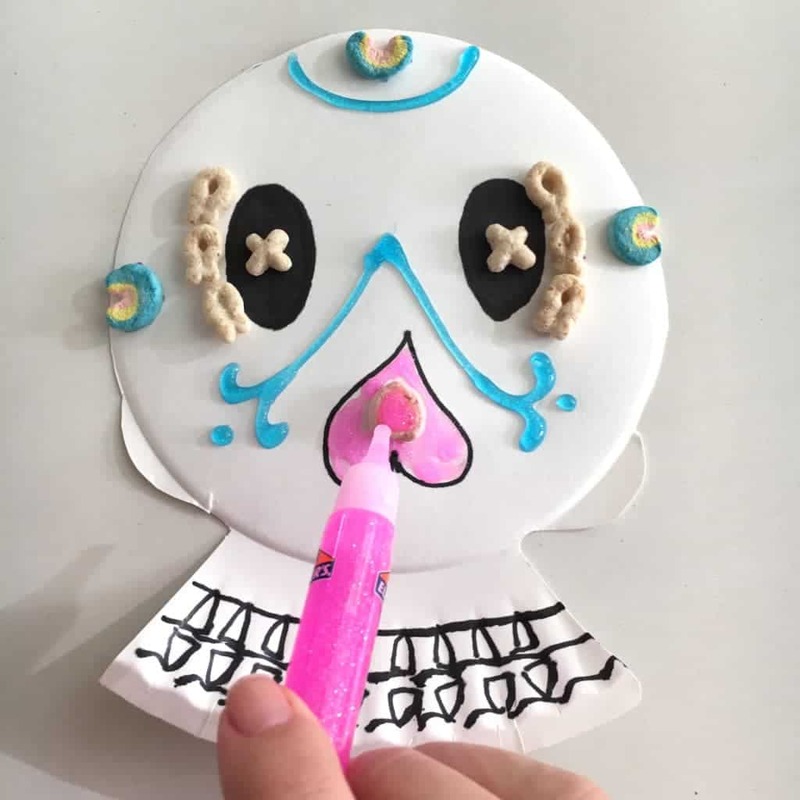 It is not only easy to make, but also very fun and the kids really like that it’s tridimensional. There’s nothing as wonderful as sharing special moments as a family while creating something that pays tribute to our loved ones and our culture’s traditions. This Day of the Dead skull is made with paper plates and to give a special touch, we used Lucky Charms cereal to decorate it. You can use it to decorate your home or if you prefer, as a mask, as long as you make holes in the eyes’ area so you can see. Here are the instructions, step-by-step. Glitter. Better yet: Glitter glue, which is what I used. Optional: Ribbon, yarn or wooden ice cream stick to use as a mask. 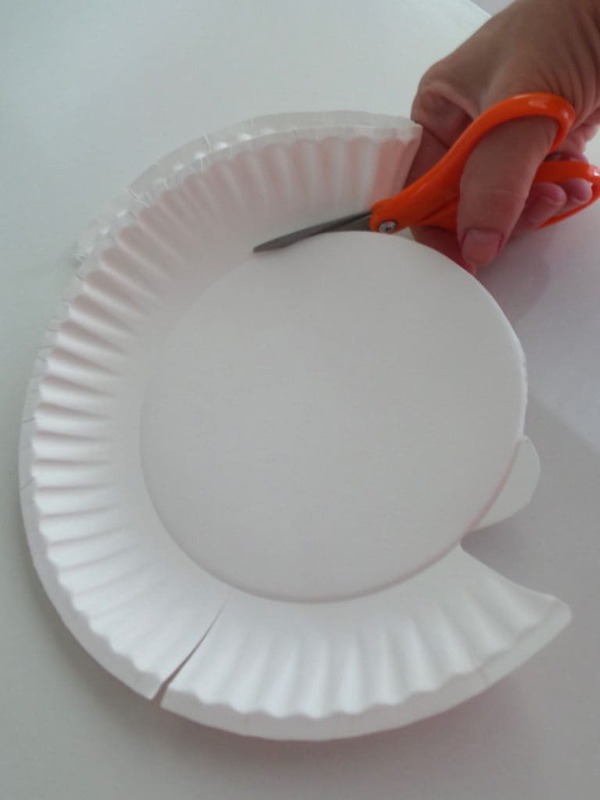 Use the scissors to shape the paper plate into a skull. Picture a semicircle and then at the bottom, cut it into the shape of the jaw, as you see in the picture. Use a black marker to draw eyes, the nose (draw an upside down heart) and the teeth. Make the nose tridimensional by gluing a heart-shaped Lucky Charms marshmallow backwards. Decorate your skull. 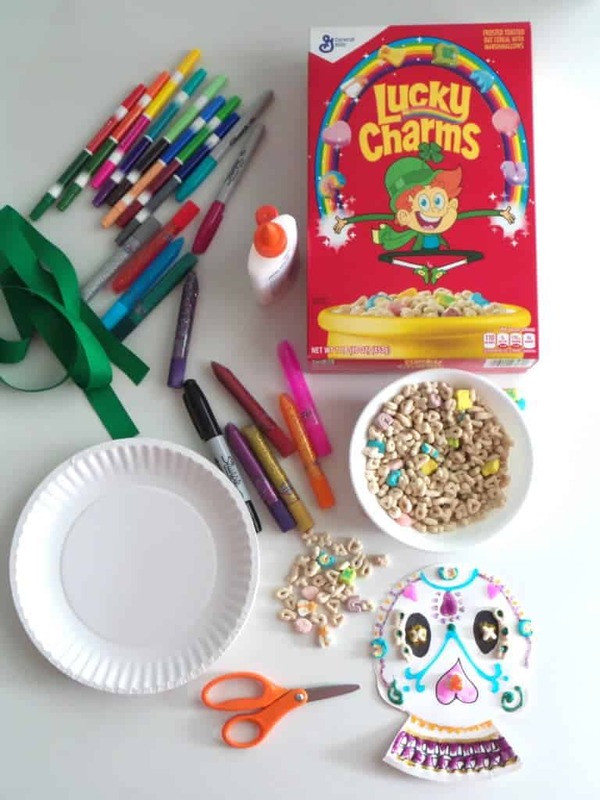 Use cereal on the edge of the eyes, and fill in with colored markers and glitter. Be as creative as you (or your children) want to be! To use as a mask, punch holes in the eyes, then punch two holes in the temples, and tie ribbon or yarn. You can also glue a wooden stick. So easy! 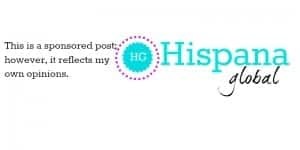 Note: This post is part of my collaboration with the Cereal con Cariño General Mills Cereals campaign, but all ideas are my own.